Frazier is a very loyal guy who will never makes waves (most DC would have after the LAC game IMO). I believe McDermott relies on his experience as a HC and DC in this league a lot. I would be surprised if he was fired. Could maybe be relegated to an advisory role if Butler is ready to become the DC. On a side note of the above, there has been minor whispers that Steve Wilks could be one and done in Arizona because of how bad his decisions have been. Curious if McDermott would bring him in as a DC or in any capacity. They should have never let Kromer go he was a good oline coach for the bills. Hopefully they bring someone along and not keep Castillo. Also nothing against Culley but Jordan Palmer's coaching before the draft seemed to help Josh out alot in such a small time. I wonder if bringing him in as QB coach would be an option, think this would help him in his game play? So far through 4 weeks according to PFF Ali Marpet is grading out as #6 in the NFL at the Guard position. Matt Paradis is grading out as the #3 Center in the league. I think a contract that can put the bills in a better position over the bucs for Marpet would be something similar to that 5 years 66.5 mil that Norwell received from Jacksonville. His cap hit for 2018 for Norwell is only 5 mil but that can be adjusted to be more even. Matt Paradis contract could range between Weston Richburg's 5 years 47.5 mil and Ryan Jenson's 4 years 42 mil both cap hits for their 1st year were between 9-12 mil. If the bills could land these guys they would have Dawkins Marpet and Paradis on the left handside leaving RG and RT available. Even at 10 mil each for year 1 cpa hit, that puts the bills with over 70 million left in cap space to help out with WR, #2 CB, pass rusher, rightside of oline to help out and bills then can go BPA in the draft to add to that. I would be happy to get one of these guys let alone both. The Bills priority should be to protect Allen up front and to get him some weapons. Right now he has ZERO chance to succeed. If the organization thinks Allen is their guy for the next decade then they need to do whatever it takes to surround him with players that will help him succeed. So far in year one with Allen they’ve done a terrible job of surrounding him with quality talent on offense. With a ton of cap room and a lot of draft picks I will be disappointed if they take a nonchalant approach on offense again like they did this season. It would remind of how the Colts have failed to surround Luck with talent. They took the nonchalant approach because they had zero funds, trying to figure out the qb position, and lost 2 olineman one to career ending injury and the other had a mental breakdown after agreeing to a contract restructure. Now they should be one of the most aggressive teams in free agency if they are not then we as fans should be worried about this regime. Everything tells me that they wont be though. They knew that they were going to take a QB in the draft and yet all of our limited resources went to the defense. Eric Wood retired before the start of free agency and Incognito retired before the draft. They had enough time to put a contingency plan in place, but waited until the 5th round to draft an offensive linemen. This is a horrible mistake when you plan on drafting your future franchise QB. I would have rather not spent the money on Star and put it towards the O line and skill players. I just hope Allen makes it through the season alive so we can surround him with capable NFL talent next year. To be fair, no one that fit our scheme (power, not zone blocking) was available in the 3rd or 4th round. I wanted to jump in and complain (and I have in the past), but after re-looking at that draft, there really wasn't any choices that made sense. I'm not feeling that the upcoming draft is really going to help us either. We need to be successful in FA or very lucky and find a diamond in the rough in the draft. We are not in an ideal situation for improving that OL by any stretch of the imagination. It's got me concerned for our future. As much as we have all loved the McBean era when it started, it is fair to be concerned about the process and legitimately wonder what the heck their plan was for this season. They can't be rebuilding while trying to compete for the playoffs. It just doesn't work. Last year was different because they had an identity on offense and a QB who wouldn't lose (or win) the game for you. That allowed McDermott to begin building his defense. This season, he added more pieces to his D including a potential all-star MLB....but we completely ignored the offense and have now thrown the rawest QB prospect into the fray in week 2. That kind of thing gets coaches and GM's fired. The only bright spot I see is that Josh Allen is very mentally tough so this putrid season likely won't break him. But the offense needs an entire overhaul next season with only Allen, Dawkins and Zay Jones (who from the all 22 has been playing a lot better then has been seen statistically) being locks for the 2019 season. Again your thinking short term process. Yes upgrading offense would have been smart but at the time there were no Olineman left in free agency worth paying the money to. The top guys were offered contracts more then Star and Murphy combined that were given so you would have been losing 2 pieces for 1 and honestly as I said what good is it to bring in a guy Like Norwell or Jensen if the other 3 olineman on the team are trash. You bring in your QB no matter what because he is suppose to be the answer for the next 5-10 years. you build your team with the resources you have and if it is defense to carry an offense then you do that. Its not a quick fix if it was then it wouldnt be a rebuild it would be a retool and the bills have done that the last 20 years. Dolphins are still doing that and over all they are going to end up in the same situation as the bills being between 7-9 and 9-7 for another year. They are looking at the long term answer of being a superbowl contender not a wild card shot and thats it. I think this is the offseason we will all expect them to go in and land the rest of the spots they desperately need rather then bringing in some mediocre olineman in 2018. they can go in to the free agency and land the top prospect olineman with the cap money they have. Grabbing an olineman in the draft doesnt necessarily mean they will play. So lets say they went olineman in the 3rd rd instead of phillips would they be starting right now? If so would they be even good to say its worth taking him? There were 4 olineman taken after phillips before teller and none of them have seen the field this season. Long term thinking I believe the bills made the right moves so far the only one I truly dont like is the Aj McCarron I would have gone with a seasoned veteran over him and kept him around to play good or bad instead of having peterman and trading aj. They arent competing for the playoffs and they know it, heck we know it, but they arent going to come out and say guys we are rebuilding come by in 2019 when we have all the pieces we want. No they are going to fight to win games to keep the fans happy. They are building what would be a playoff caliber team. Getting the defense built up now was the plan so when they do go in 2019 offseason they have that side of the ball atleast set. Obviously they have a couple holes in #2 CB and LB with alexander going to be 37 years old. The rest of the defense is set though and then the bills could focus on the offense with the 90+ million. Allen, Zay, Foster, McCloud, Murphy, Ivory, Teller, Croom, Thomas, and Dawkins will be on the squad. I wouldnt be surprised if Shady is traded if not and he is happy in Buffalo he could stay too and the rest will be revamped this summer. Everyone expects this team to compete every year for a playoff spot. Look at the teams that have struggled over the years and finally have something. Jacksonville has had 5-6 top 5 picks before they made a playoff run, the jets are going on 3 of the last 4 drafts picking top 6. 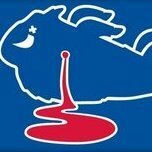 Bills have been good enough to compete but bad enough to not make the playoffs so they have been getting pick 10-20 for the last 20 years with a couple higher ones to sprinkle in but all in all they have been stuck in nfl purgatory and the only way to get out of it is do what they are doing which is try to gut the team and build it up from there. This is a 3-4 year process and it didnt help making the playoffs last year cause it cost the bills pieces to get Allen when they could have sucked last year and got allen without giving up pieces like Glenn and two 2nd round picks. They could have added more to the team but they didnt get that option. I am not saying we should have added top dollar offensive linemen. The offensive linemen and skill players we have are expansion team worthy. Josh Allen looks like David Carr 2.0. You're taking my argument to the extreme by giving Norwell, Jensen, etc. as examples. The fact is we have arguably the worst center combination in the league with Bodine and Groy. It is inexcusable to have a collection of offensive linemen that are barely roster worthy on most teams let alone starting, when you plan on bringing in your franchise QB. Eric Wood's retirement was leaked back in January and Incognito's release was before the draft. These are facts. There is no excuse that we have the worst offensive line in the league by a large margin when they were planning on drafting our future franchise QB all offseason. My main point is we could have done better than what we have currently and not have completely neglected the offense. I think there could have been a middle ground between addressing offense and defense. Our offense last year was ranked 29th. How much sense does it make to not at least add a couple of capable pieces on offense in FA and the draft? I attribute this to McDermott being a defensive guy. It also doesn't help that Castillo is the one guiding these guys. The blind leading the blind. I just hope we do our very best to build a quality offensive line this offseason. Build in the trenches first and then add weapons for Allen. Again I just hope he makes it out of this season alive. I understand the frustration, I am to but the only way I see it is they are focusing on going big with the offense in 2019 offseason meaning they will dump a lot of money in to the oline which they should. I prefer them to do this then go out in a draft and hope they pan out. Allen needs to get a line that is ready to go this coming year not to wait for any developments. So Im all in on them going and grabbing the best olineman possible in free agency to give allen no excuse about protection. Adding the weapons may be a process as not many are free agents and as of right now there are no Julio Jones AJ green type talent coming out of college. I do hope for a Juan Castillo firing that needs to happen like yesterday. One thing you mention is Incognito, yes they knew about wood in January and thought groy can come in and replace him like he did in 2016 when he went down with a broken leg. In those 7 games Groy looked good. So good that they had to match the offer the rams gave him. Back to Incognito he retired 2 weeks before the draft, had they given themselves more time maybe they could have adjusted for the draft but really every top to mid tier Guard prospect already signed with a new team giving the bills no chance to bring in the help via free agency. Losing Wood not only hurt the position but crippled the cap because of his extension before the 2017 season. So even though they didnt have solid olineman they were strapped at that position with the dead cap that came from it. All in all I think you cant hold this team accountable for their performance on offense yet. Next year they have this bad of an offense it would be time to ask for the firing of both beane and mcdermott. I just have a feeling they go for the top olineman in free agency though. Beane is ready to cash in after catching so much heat for gutting the team. Was on board with what you were saying until you mentioned firing Beane & McDermott. Unless there are a lot of gains made by a lot college O-Linemen this year, this draft is going to be pretty thin. There are plenty of other teams who will have needs there too, so we all will be competing for a limited pool of talent. Free Agency will only provide a partial fix - I'm not expecting us to land 3 quality starters in the trenches from FA. I honestly could see our offense struggling again next year. And I think that will happen all the while people complain about drafting several defensive players, because this draft is looking impressive on that side of the ball. We won't turn away good defensive prospects just because it is inconvenient. And we've cycled through coaches for quite a while now. It needs to stop. This FO needs 2-3 more years to prove themselves and I have no problem with them getting it. I said that based on them not making any adjustments to the offense. If they squander the opportunity to land top tier FA olineman because they dont want to throw that extra mil in per year like the old days then there is no hope for this team. Like I said I have a feeling that they prove themselves by landing those stud olineman to protect their qb but if they dont people need to start doubting this organization. I would love for them to fill in the holes as best as possible and go in to the draft BPA and not just based on need. Olivier from UH and Bosa seem to be the consensus top 2 players and the top 5 players are all defense so I do not mind them continuing to draft that side of the ball, as you said its the best in the draft. They are likely picking top 5 so why not grab one of those guys. Thats why i think it is key they make it a point to land top free agents on the oline. WR is thin too and not many stand out to be a #1 on a team so the bills are going to have to figure out what to do there and I can see that as a 2020 problem and just fix the oline in 2019. I do agree it is best to have continuity and I think that it will be like that with the coaching staff. Marpet just signed a 6 year extension today. Don Smith may hit the market along with Kwon. The way Alexander has been playing he will be a UFA in March. And yall can have him.